LEGAL EXPERIENCE: Karen Thome Guthrie has been a civil litigator in Massachusetts since 1995 and has extensive experience in ADR. Karen employs a very wide range of experience and is an excellent choice for a great majority of mediation and arbitration cases; her primary practice areas include all types of personal injury cases, tort, business and commercial litigation, contract disputes, and real estate cases including condominium disputes, landlord/tenant, boundary disputes and property damage. Karen’s significant experience with domestic relations, divorce, and custodial cases make her a positive choice for all types of family disputes. As a trial attorney for over twenty years, representing plaintiffs, defendants, and insurers, Karen has represented clients in the Superior, District, and Probate courts. She has had extensive mediation and arbitration training, and has had excellent results using ADR throughout her law career. 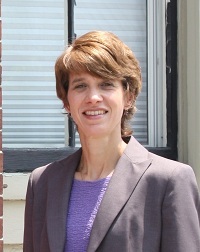 OTHER PROFESSIONAL EXPERIENCE AND ASSOCIATIONS: Attorney Guthrie has been a member of the Massachusetts Bar since 1995, and is a current member of the Massachusetts Bar Association. She completed mediation training in accordance with M.G.L. ch.233 sec.23C and has a mediation certificate from MWI in Boston, MA. She volunteers as mediator and conciliator for Lowell and Ayer District Courts, and is also on the neutral panel of New England Dispute Resolution. Attorney Guthrie currently has her own civil litigation practice and is of counsel to Cossingham Law Office, P.C. in Andover, Massachusetts.